It’s been a busy first semester in the elementary with our Social Studies curriculum. The students are busy learning to be respectful, responsible, and kind. Teachers and students are continually reviewing school expectations to help everyone be good citizens in our classrooms and school. This has been done through role playing, school videos, and poster expectations. 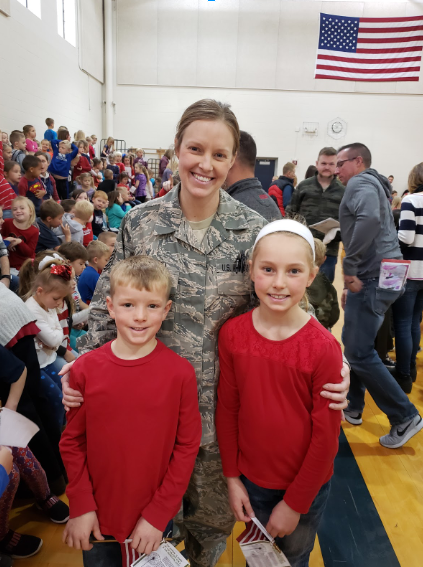 The elementary school celebrated Veterans Day with an amazing school wide program filled with singing patriotic songs and saluting those who have served or are serving in the military to keep our country safe. The kids did a wonderful job. Each grade level is also focusing on their own state and district curriculum. 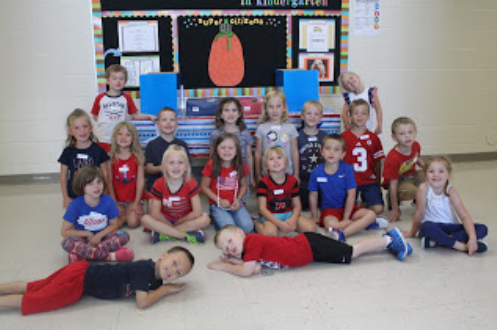 In addition to working on good citizenship, the kindergarten classrooms have been learning about and celebrating numerous holidays during the past three months. 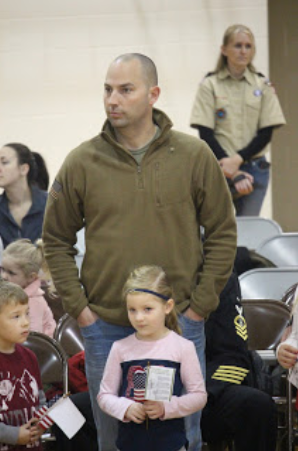 They have read numerous books, created fun crafts, and participated in activities that have increased our understanding of the following holidays: Memorial Day, Constitution Day, Columbus Day, and Veterans Day. Teachers are currently preparing students to learn about the history and importance of the upcoming Thanksgiving holiday. Kindergarten has also spent some time interacting with community workers and learning about their job descriptions through Fire Safety Day, as well as our Veterans Day Assembly. 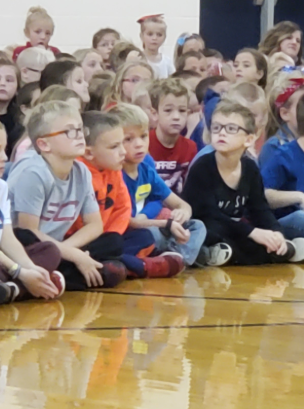 First graders spend a great deal of time learning about being safe, respectful and responsible citizens through discussing and practicing rules and leadership at school. While learning about being a good citizen, they study patriotic symbols, songs and US holidays. They've been enhancing their chronological thinking skills by using the calendar (days, weeks, months, years) and discussing what has happened in the past and learning about the future. In the near future, teachers will be introducing the differences between needs and wants, beginning map skills and of course, continuing to work on resolving conflict. The second grade team has been learning about urban and rural communities and the goods and services they provide. They researched community workers and made class books to share with their peers. 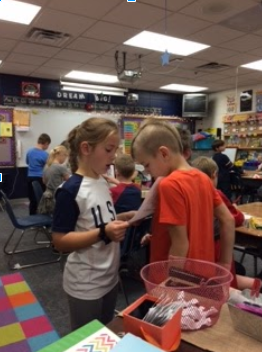 They discussed producers and consumers and sorted out the difference between the two. Voting and the democratic process was also discussed. Second grade read the book Duck for President and went through the voting process. Virtual tours of some of our national monuments were taken. Students discussed the importance of our national symbols and what they stand for. They have also identified various wants and needs of our communities and of ourselves. Second grade went to Nebraska City to Arbor Day Farms and had fun touring the apple orchard, learning about trees, and exploring nature. 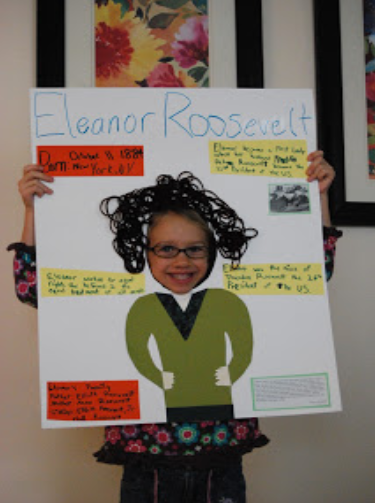 Their next units will consist of reading maps, the importance of recycling, and researching famous Americans.